Volvo Philippines continues to record considerable growth in the 1st quarter of 2017. With a 35 percent increase in sales, the exclusive official importer and distributor of Volvo cars in the country is standing strong with a positive outlook for the rest of the year. “We sincerely appreciate the positive response from the market especially with the XC60 and the new 90 Series Volvos. We remain optimistic that the numbers will continue to grow, and we have lined up a robust range of new Volvo models and variants coming in within the year, and in the next years,” shares Volvo Philippines’ President Atty. Alberto B. Arcilla. 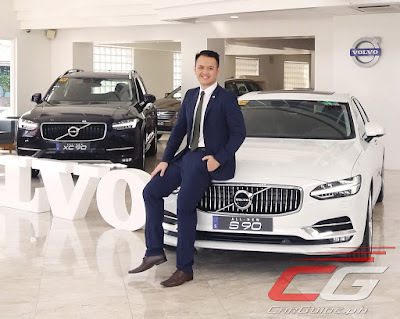 Volvo Philippines had recently introduced the all-new XC90 luxury SUV and S90 luxury sedan, which have both been well received by motoring journalists and customers. The Swedish brand is also poised to expand the 90 series lineup with the all-new Volvo V90 Cross Country within the year. These will be closely followed by a broad range of new models that will showcase Volvo’s reinforced focus on design, quality, and class-leading technology across its entire product lineup. The warm market response may also be attributed to the continued efforts to provide excellent services to its valued clientele. Volvo Philippines has partnered with select high-end establishments to offer services such as exclusive parking, airline lounge benefits, and dining privileges, to name a few. Lifestyle areas and events also provided a venue for Volvo enthusiasts and patrons to familiarize themselves with the latest Volvo features. Active lifestyle activities such as golf and sailing also provided an avenue for Volvo to showcase its products. “We believe that offering varied channels provide our clients an opportunity to match their needs with the benefits our Volvos offer. From thoughtfully executed designs, well-appointed cabins with intuitive technological driving aids, to a selection of fuel-efficient engines, they can discern which Volvo is the perfect match for them,” quips Chris Lee Yu, Marketing Head of Volvo Philippines. “We always strive to tailor our activities and services to our clients’ needs to ensure that they get the Volvo enhanced customer experience,” he adds. When will the new xc60 be released?